Atlantic Needlefish. Needlefish do, in fact, have dangerously sharp pointy jaws. They are not known to attack humans, eating only smaller fishes, crustaceans, small cephalopods, or krill. They do, however, make short jumps out of the water at speeds up to about 37mph, especially when excited by bright artificial lights. 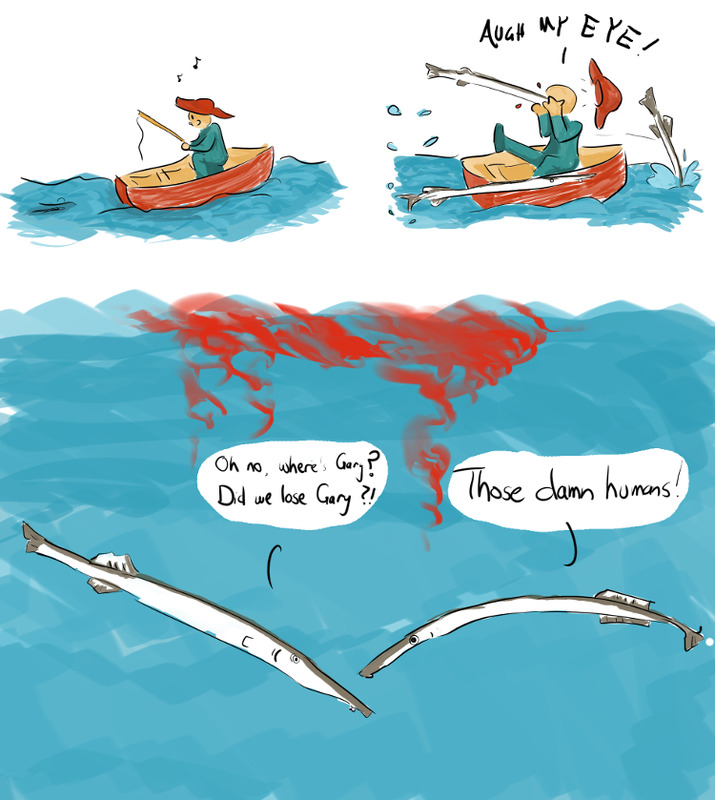 So while they don't attack humans, exactly, they have been known to accidentally 'hit' people when they come soaring out of the water only to find a careless human eye inconveniently in their path. There are reports of people being killed by needlefish piercing them in the eye, brain, or heart, and in one case a lady was paralyzed when the needlefish's teeth broke off inside her spinal cord.